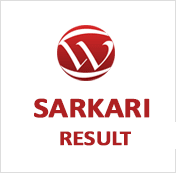 Sarkari Result: All Sarkari Results at one place! Sarkari Result offers you the latest updates the latest Govt Jobs 2018-19 openings across Central and State Job in Govt Companies & its Latest Govt Jobs 2018-19 notifications vacancies across various sectors like Banking Govt Jobs 2018-19, Defense, Railway Jobs 2018-19, Teaching, Financial Institutions notifications, Govt College lecturers and non teaching staff posts notifications.Public Sector Undertakings (PSUs) in India offer lakhs of job vacancies every year. Here you will be updated with all Government Jobs / Sarkari Naukri recruitment Notifications for Freshers and Experienced govt job seekers. Get updated with latest notifications of sarkari exams, sarkari jobs, sarkari results, and exam syllabus and answer keys for all 10th, 12th, ANY DEGREE, PG, B.Tech, MBA, MCA qualified Sarkari Naukri in 2018-19 are expected to offer a huge opportunity for job seekers in India. Sarkari Result helps you get daily notifications of the latest Central and State govt. jobs to apply online for RRB NTPC Apply online 2019, RPF Constable Admit card 2019, Indian Navy charge men ,MTS and other post form 2018-19 etc.Register now with Wisdomjobs.com, and get the latest and best govt. jobs and results.From UPPSC selection process, eligibility criteria and exam syllabus to WBPSC recruitment notifications and from Haryana SSC online recruitments to Jaipur Metro Rail notifications Sarkari Result gives you all the latest information on govt. jobs and how you can apply for them. In addition, Apply online for India Post GDS 2018-19,UPSC CODE 2018-19 Apply online, UP police recruitment online form 2018-19,CISF constable fir apply online 2018-19,Jharkhand PGT Apply online 2018,Indian army clerk posts recruitment 2018-19, Indian air force group recruitment 2018-19, Indian Navy MR apply online 2018-19, Central railway clerk online form 2018-19, Bank of Baroda SO apply online 2018-19, MPHC various posts apply online 2018-19 are available on Wisdom jobs.com Sarkari Results page today.